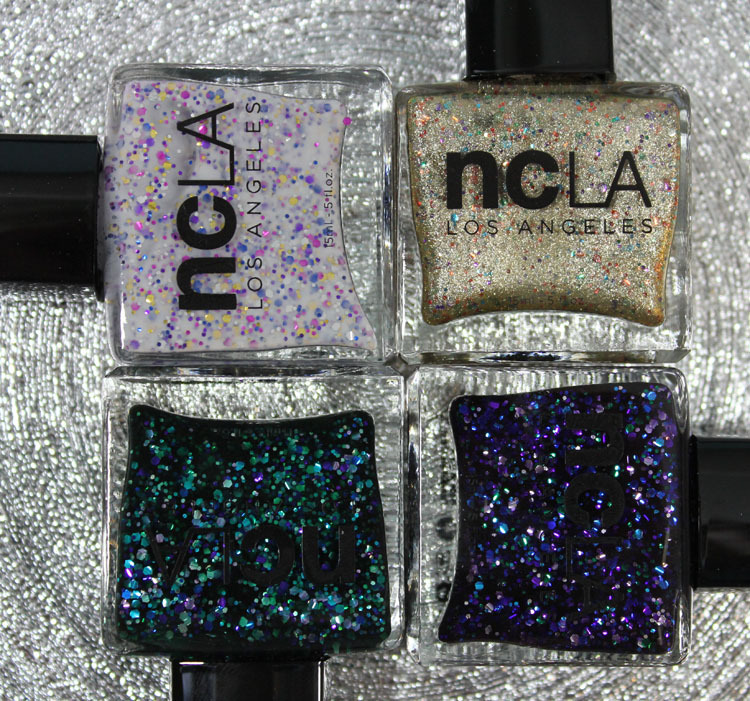 The ncLA Black Market collection features four new super glittery nail shades. Cookies and Gold – White base with purple, fuchsia, gold, blue and white glitter. 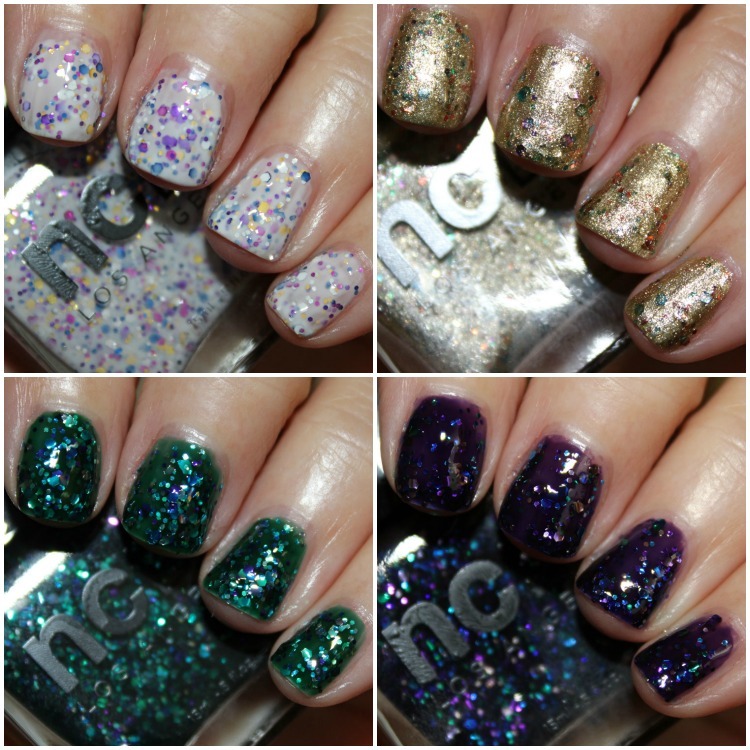 Bullion in a Bottle – Gold metallic base with green, orange, pink, gold and purple glitter. 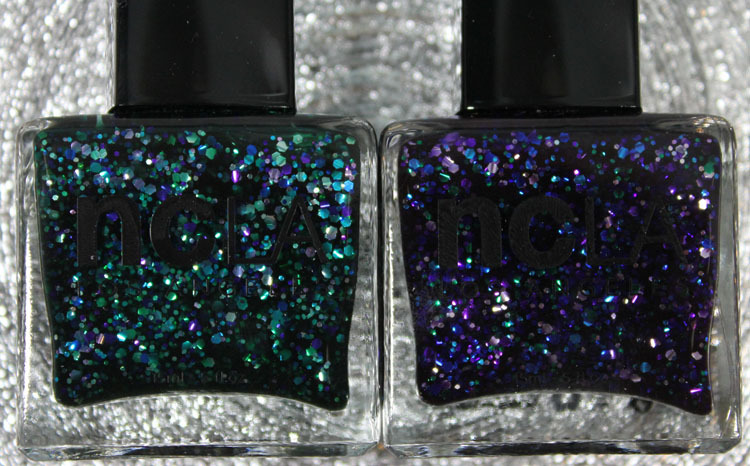 Emerald Bay – Dark emerald green base with purple, teal, blue and silver glitter. 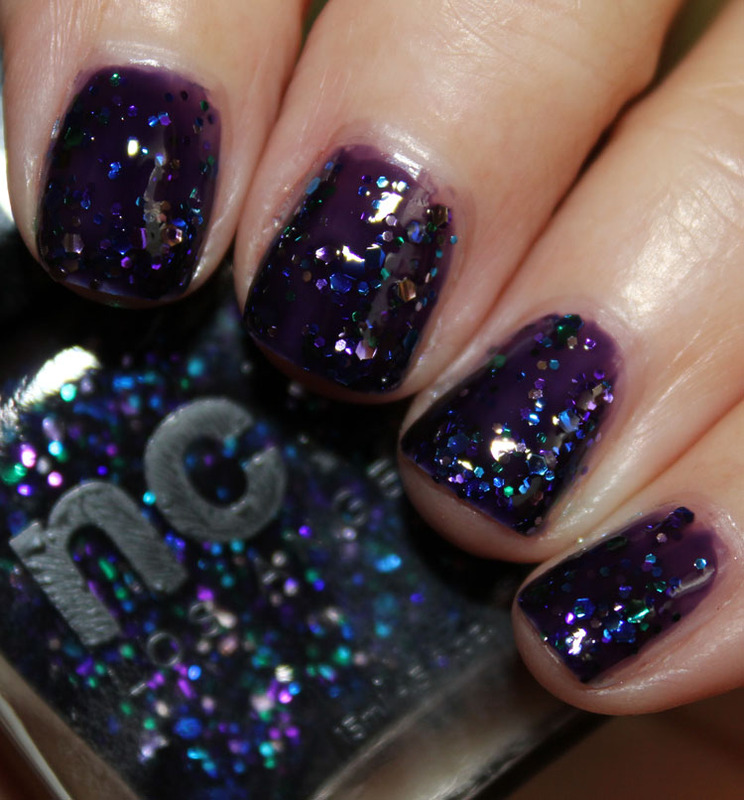 Prized Possessions – Deep purple base with green, blue, purple and lavender glitter. Now let’s talk about the formula with these. Cookies and Gold and Bullion in a Bottle worked better for me than the other two. Cookies and Gold is a little sheer but two coats works pretty well. The glitter didn’t move around too much if you dab it on rather than brushing it on. Bullion in a Bottle covers completely in two coats. Emerald Bay and Prized Possessions are both dark but apply a little sheer so they required three coats. 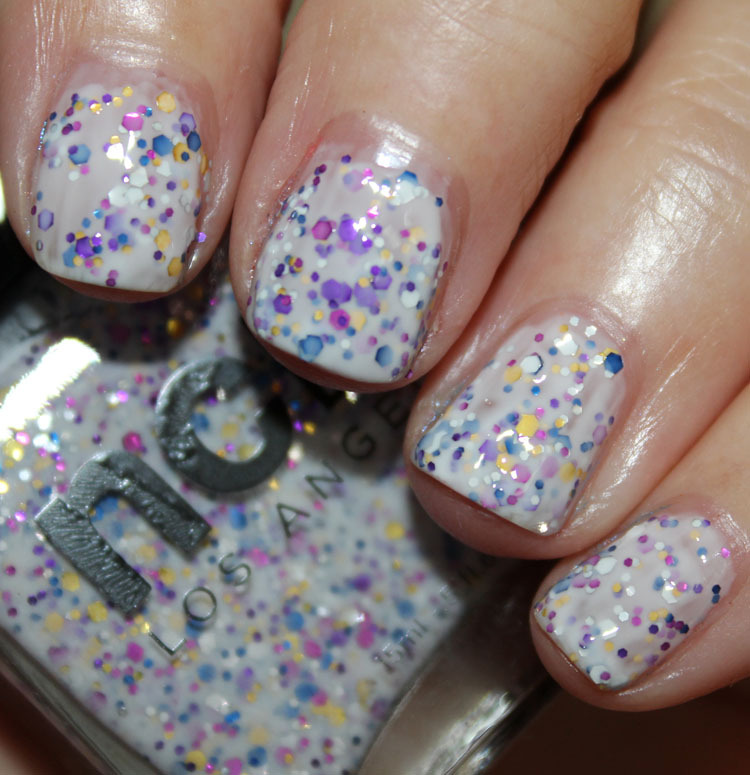 That tended to make them look a bit lumpy because there are larger glitter chunks in them. Even then my nails tips weren’t totally covered. I really love this combination of colors! Overall: I definitely feel like Cookies and Gold and Bullion in a Bottle were the best two in terms of formula. The other two are still nice shades, but much harder to work with. Pricing: $16.00 for .5 oz. 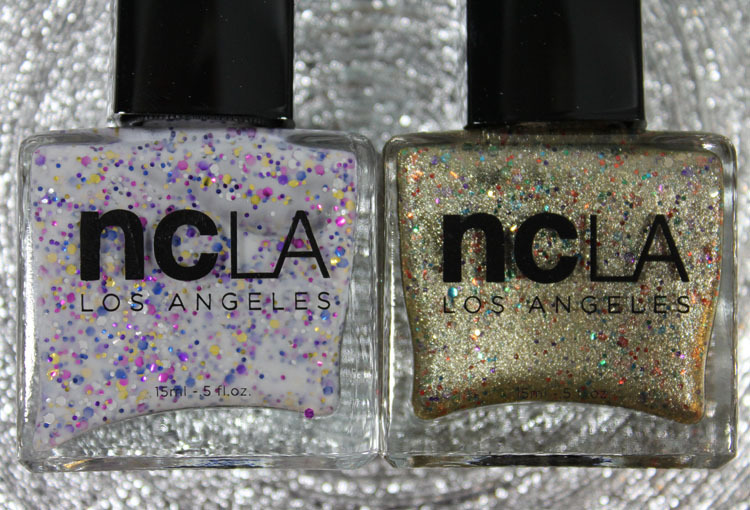 Do any of these shades appeal to you?